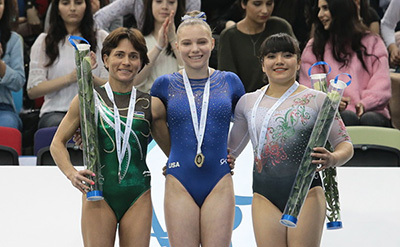 INDIANAPOLIS, March 16, 2019 – Jade Carey of Phoenix, Ariz./Arizona Sunrays, won the women’s vault title earlier today at the International Gymnastics Federation’s World Cup in Baku, Azerbaijan. 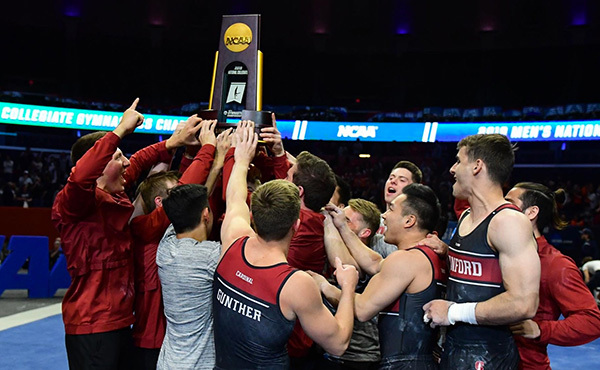 In Stuttgart Germany, Akash Modi of Morganville, N.J./Stanford University, took fifth in the men’s all-around at the 2019 DTB Pokal World Cup, the second of four all-around World Cups in the International Gymnastics Federation’s all-around World Cup Series. Competition continues at both events tomorrow, March 17. 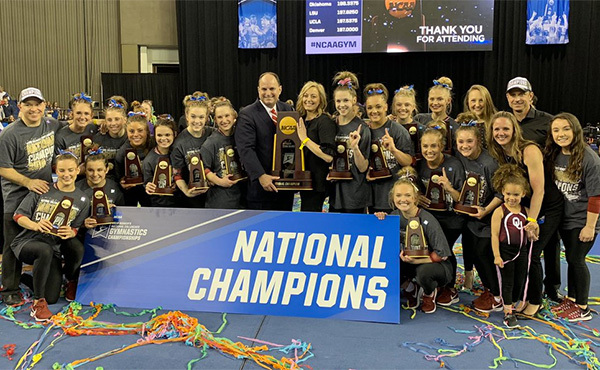 In Baku, Carey and Colin Van Wicklen of Magnolia, Texas/University of Oklahoma, will compete in the women’s floor exercise and the men’s vault finals on the final day of the World Cup. 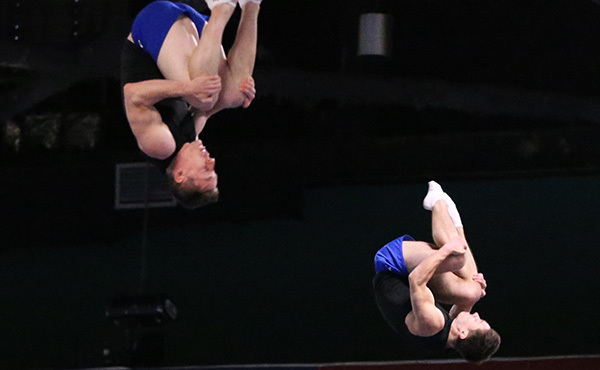 U.S. fans can tune in to the event finals on a livestream at 4 a.m. ET, as well as watch a telecast twice: 5:30 p.m. 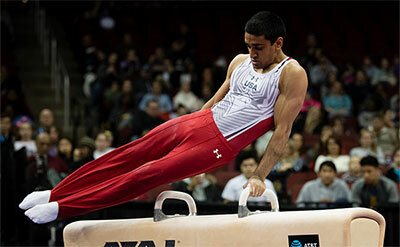 ET – day two event finals telecast on the Olympic Channel, with a simulcast; and March 18, 12 p.m. ET – NBCSN telecast of day two event finals with a simulcast. Simone Biles of Spring, Texas/World Champions Centre, competes on the final day of the DTB Pokal World Cup. Using local Stuttgart time, the DTB Pokal World Cup the women’s competition begins at 12:30 p.m. Stuttgart time/7:30 a.m. ET. U.S. fans can catch Sunday’s action live online and tape-delayed on cable TV, which also has a simulcast: 7:15 am. ET, livestream; 2 p.m. ET, telecast on the Olympic Channel with a simulcast; 4:30 p.m. ET, telecast on NBCSN with a simulcast. 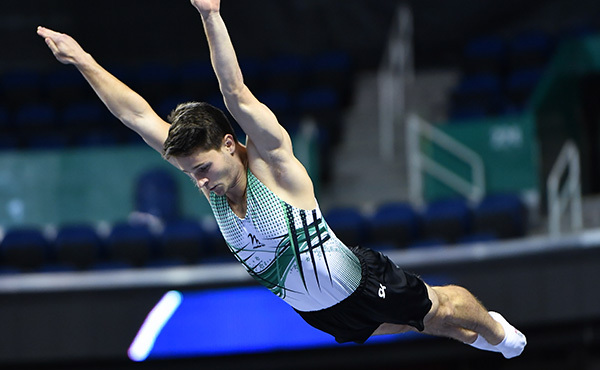 The other champions for the first day of finals were: men’s floor exercise, Israel’s Artem Dolgopyat; men’s still rings, Great Britain’s Courtney Tulloch; men’s parallel bars, Russia’s Vladislav Poliashov; and women’s uneven bars, China’s Lyu Jiaqui. On Sunday at 12 p.m. Baku time, Carey will compete in the women’s floor final, and Van Wicklen will participate in the men’s vault final. The other finals that day are women’s balance beam and men’s pommel horse and horizontal bar. Modi earned an all-around total of 82.098 at the DTB Pokal World Cup. Russia’s Artur Dalaloyan won the men’s title with his 84.497. China’s Sun Wei and Ukraine’s Petro Pakhniuk were second (83.465) and third (83.331), respectively. Germany’s Marcel Nguyen was fourth at 82.864, just 0.542 ahead of Modi. Modi’s event scores were: floor exercise, 13.433; pommel horse, 13.466; still rings, 13.966 (3); vault, 14.100; parallel bars, 13.233; and horizontal bar, 13.900. The DTB World Cup concludes tomorrow with the women’s all-around, which features Biles. NBC Sports and the Olympic Channel: Home of Team USA will have coverage of the World Cups in Baku, Azerbaijan, and Stuttgart, Germany, this weekend. Fans can catch all the action in spectacular high definition via NBCSports.com/Live or through the NBC Sports app which is available on the iTunes App Store, Google Play, Windows Store, Roku Channel Store, Apple TV and Amazon Fire. March 17, 4 a.m. ET – event finals on a livestream at 4 a.m. ET; and an Olympic Channel telecast at 5:30 p.m. ET, with a simulcast. March 18, 12 p.m. ET – NBCSN telecast of day two event finals with a simulcast. In addition to USAGym.org and USA Gymnastics’ social platforms, fans can follow on Azerbaijan gymnastics’ website, Facebook, YouTube, Twitter and Instagram accounts. March 17: 7:15 am. ET, livestream; 2 p.m. ET, Olympic Channel telecast with a simulcast; and 4:30 p.m. ET, NBCSN telecast with a simulcast. 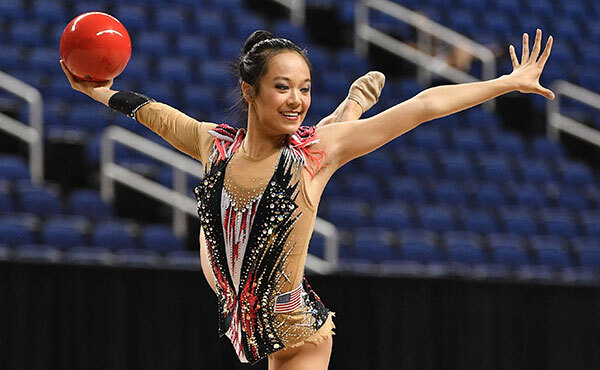 Fans can also follow the action on USAGym.org and its social platforms, as well as on the event’s official website and social platforms of Deutscher Turner-Bund and Schwabischer Turnerbund on Facebook, Twitter and YouTube. They are using #dtbpokal and #stuttgart2019.